What is the tobacco death toll? Tobacco kills nearly six million people every year, according to the World Health Organisation. The majority die because of smoking, but 10 percent of this figure die from second-hand smoke. Tobacco kills more men than women. Sixteen percent of male deaths globally are attributable to tobacco, compared with seven percent of women, according to WHO. There is also interesting regional trends. In Africa, where tobacco use isn’t as well established as elsewhere, it is responsible for five percent of male deaths, compared with 25 percent in Europe. But tobacco use is declining, right? Yes, non-smoking is becoming the “new norm”, according to WHO. 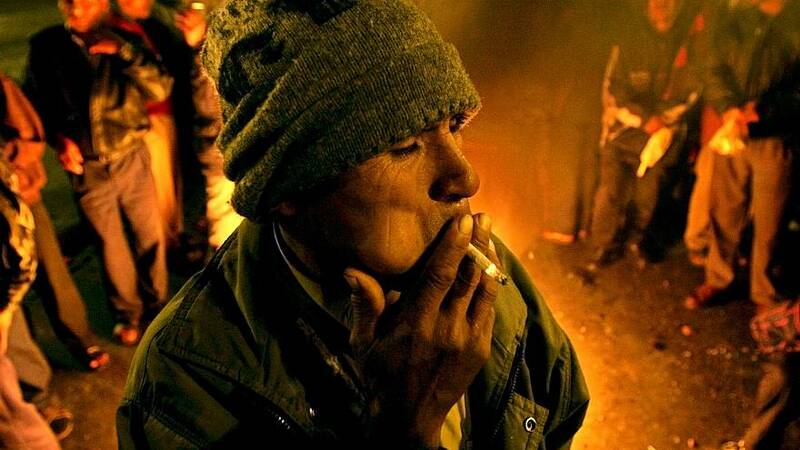 A report in The Lancet found the prevalence of men smoking tobacco had fallen in 125 countries between 2000 and 2010. Meanwhile, in the US, the proportion of adults smoking cigarettes has fallen from 42.4 percent in 1965 to 19 percent in 2011, according to the Centers for Disease Control and Prevention. Yes, in Africa, which is the world’s fastest growing market, according to the Tobacco Control Research Group (TCRG) at the UK’s University of Bath. And, with cigarette sales decreasing in Europe and North America, tobacco firms are targeting Africa. British American Tobacco Uganda has been accused of contradicting its own policies by arguing for the sale of single cigarettes in Africa, which are thought to appeal to young people who cannot afford a full packet. There are 77 million adult smokers in Africa and this is forecast to rise to as much as 572m by the end of this century, says the American Cancer Society. 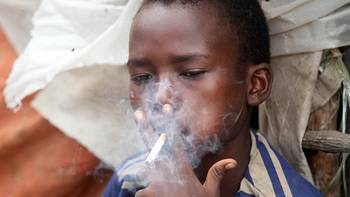 A Tobacco Control research paper claims in the shorter term, smoker numbers in Africa are expected to rise by nearly 40 percent by 2030, based on 2010 levels. Are warnings on cigarette packets helping? Does putting warnings on cigarette packets work? WHO says hard-hitting anti-tobacco advertisements and graphic images on cigarette packs are helping to reduce the number of people smoking. It says studies carried out in Brazil, Canada and Thailand have shown such warnings increase people’s awareness of tobacco’s harm. 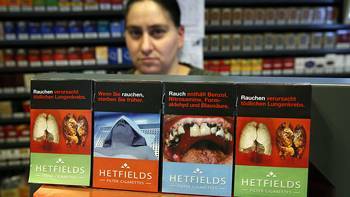 How are tobacco firms responding? You can read more about this on our article about the EU-US trade deal, under the heading “Investor-state dispute settlements”. What impact does banning smoking in public places have? Ireland became the first country in the world to introduce a workplace smoking ban in 2004. The Irish government estimated, on the ban’s 10-year anniversary, that it had saved 3,700 lives. China, from Monday (June 1), will ban smoking in Beijing’s public places. More than a third of cigarettes manufactured worldwide are smoked in China. 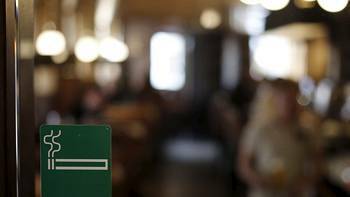 Seventeen EU countries currently have “smoke-free laws” in place, including Ireland, the United Kingdom, Greece, Bulgaria, Malta, Spain and Hungary, who all prohibit lighting up in public places such as workplaces and public transport. WHO claims one of the most effective ways of cutting smoking rates is to ban tobacco advertising. It says prohibiting promotion of cigarettes cuts consumption, on average, by seven percent. A WHO report in 2011 said just 19 countries have effective bans on tobacco advertising, promotion and sponsorship. It added more than one third of countries globally had minimal or no restrictions at all. E-cigarettes, which contain a nicotine-based liquid that is vapourised and inhaled, could be “the greatest advance in reducing tobacco-attributable illness and death in decades”, according to a paper published by the International Journal of Environmental Research and Public Health. Meanwhile a study in England revealed a hike in e-cigarette use had accompanied a rise in the number of people quitting smoking. But the paper, published in the British Journal of General Practice, says there is also a fear that e-cigarettes may normalise smoking, leading to an increase in tobacco use over the long term. 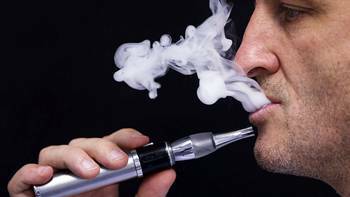 One US study claimed e-cigarettes contain toxic chemicals and are not a safe alternative to tobacco. WHO and charities have said more research is needed into the health impacts of e-cigarettes. The number of ‘Illegal whites’ – manufactured legally elsewhere and then smuggled into another country and sold without duties being paid – in the EU jumped from virtually zero to 37 percent of all illicit cigarettes in 2014.
WHO regard it as such a problem it has made fighting back against illicit cigarettes the main theme for World No Tobacco Day 2015. “While publicly stating its support for action against the illicit trade, the tobacco industry’s behind-the-scenes behaviour has been very different,” said WHO in a press statement. “Internal industry documents released as a result of court cases demonstrate that the tobacco industry has actively fostered the illicit trade globally.